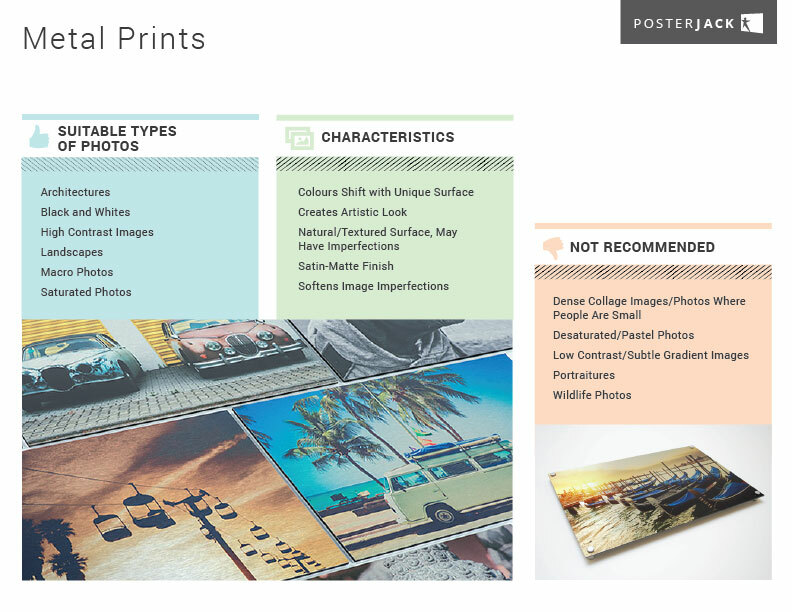 Metal Prints present a unique opportunity to make incredible art with your images. We suggest using high contrast images; landscapes, architecture, and graphic designs all look great printed directly on metal. We generally suggest avoiding portraitures, unless you are okay with some unusual results, such as white teeth being shown as metal or skin tones that are impacted by the raw aluminum that shows through. Metal Prints have a textured brushed surface that adds to the dynamic look. Use the chart below for a detailed overview.